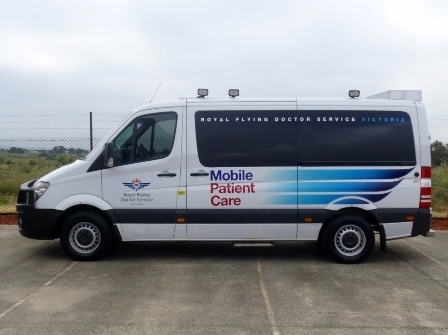 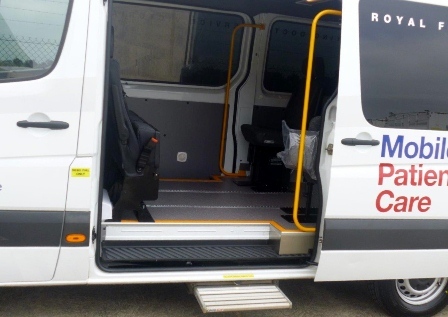 RFDS and Mader have developed and built a patient transport platform based on a Mercedes Sprinter van that provides the ability to multitask their workload. 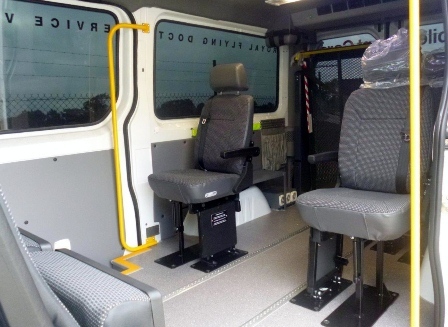 There are three rearward facing and three forward facing seating positions in the rear compartment. 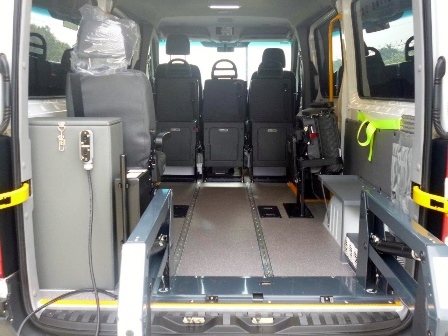 All seats can fold up out of the way which will open up the floor area substantially. 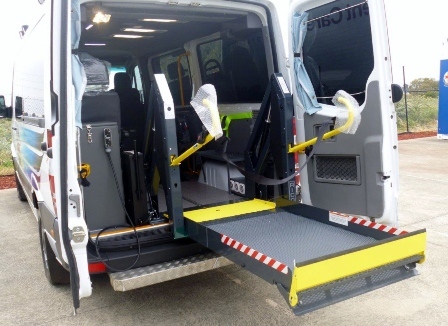 The addition of a wheelchair lifter at rear for access will allow wheelchair patients to be secured for transport. 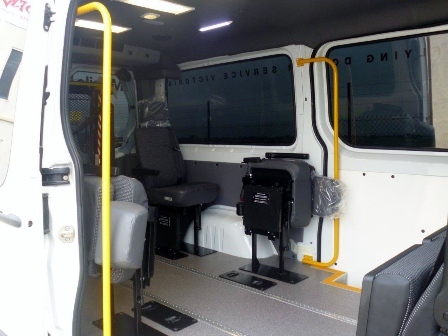 This configuration will also enable RFDS to cater for a mixture of wheelchair and/or seated patients.